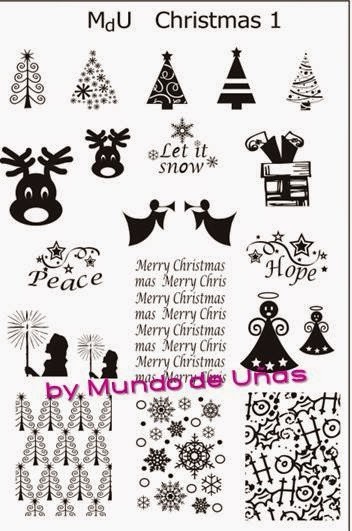 Lacquer Lockdown: Hot Off The Stamping Press: Mundo de Unas Nail Art Stamping Plates! 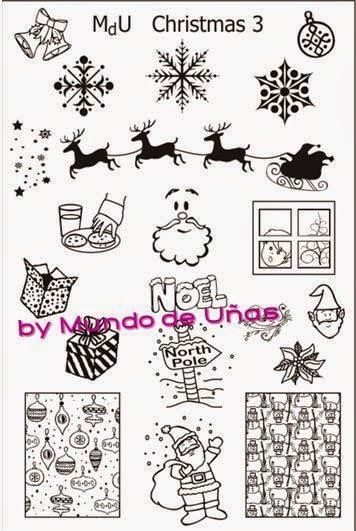 Hot Off The Stamping Press: Mundo de Unas Nail Art Stamping Plates! It's the season of holiday nail art stamping and guess what my darlings? As usual it is raining and pouring new plates from everywhere! These days I feel like I have seen at least 50 new plates release across different brands in the last month. So let's add another newcomer with an insider advantage to that group. 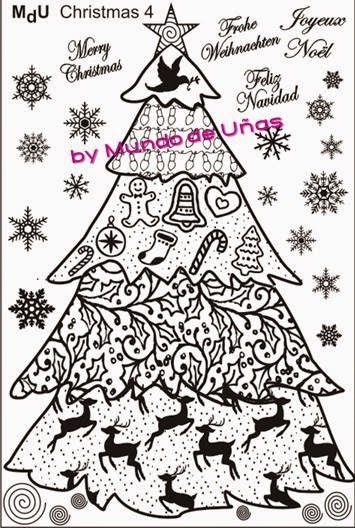 Congratulations Slyvia Z, owner and seller of Mundo de Unas and those fabulous stamping polishes, on creating your own brand of nail art stamping plates! Let the spaz and squee rein!!!! I won't even pretend not to be excited and thrilled to see her creating her own plates and the first 5 have a hard center around the upcoming holidays so let's take a look. Original and awesome! I told you I own a LOT of holiday plates from all across the world so why on earth do I keep buying them? Simple one I love Christmas and two I love innovation. I don't own any plates like these. I love the girl holding the candle, Santa in the chimney, and all the little abstract Christmas trees! This one is perfect for a skittlelet Christmas themed mani ps how cute are all the little angels and the falling presents? This one is my favorite out of the whole bunch! I love love love the child staring out the window, the Santa hand with the cookies, and the battalion of little snowmen! Ugh I died and went to Christmas stamping plate heaven. Lol. Freaking beautiful! I wish my nails were long enough to fit this while image. Way too cool innovative and pretty! And a strong strong finish! Little toy soldiers, ornaments, doves, harps, mittens. Oy this plate is way too perfect and captured a lot of the feel of Christmas to me! !